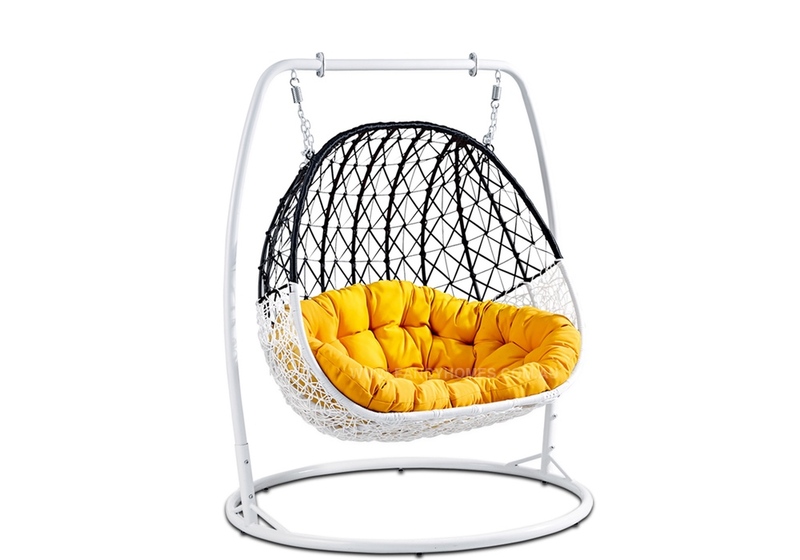 BP804 Double Size hanging chair features a wicker basket design, providing a cosy seat for two that is great for relaxing with a drink or catching up on some reading from the comfort of your patio. The aluminium frame is incredibly durable and rust proof, making it ideal for the outdoor elements. 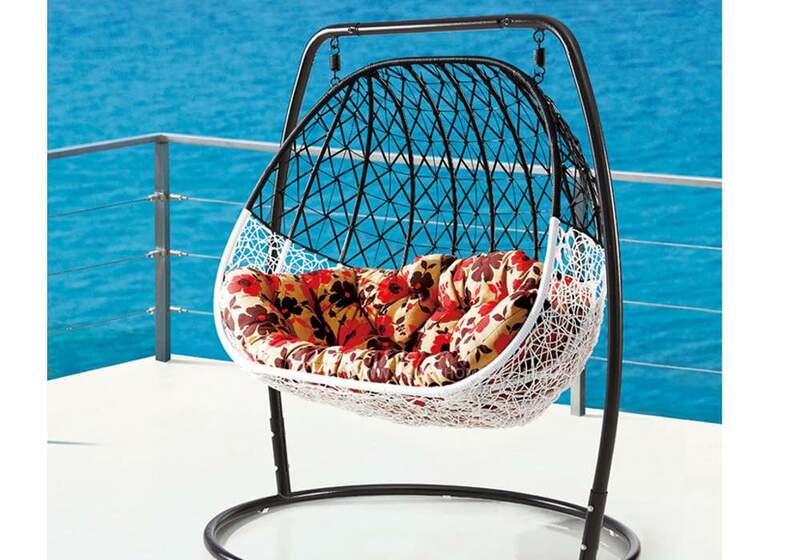 The wicker is made of High-Density Polyethylene that is UV treated to keep its colour and not fade, crack or peel. Commercial grade hybrid spring suitable for high temperature and corrosion environments.